We are pleased to offer for sale this 1995-D Paralympics Atlanta XXVI Olympic Games Commemorative Uncirculated Silver Dollar. This XXVI Olympiad Paralympics Commemorative Silver Dollar was minted in 1995 and is in Brilliant Uncirculated condition. This 1995-D XXVI Olympiad Paralympics Uncirculated Silver Dollar was struck to commemorate the 100th anniversary of the Modern Olympic Games. 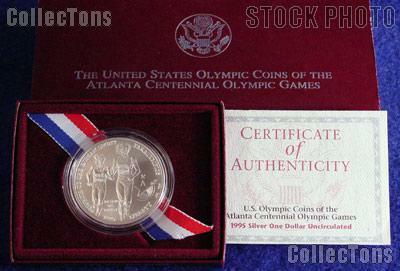 There were 28,649 of the 1995-D Atlanta Olympic Games Centennial Paralympics Commemorative Uncirculated Silver Dollars minted at the Denver (D) Mint. This Atlanta Paralympics Uncirculated Commemorative Dollar is comprised of .900 silver (90% silver) and .100 copper with a diameter of 38.1mm and a weight of 26.73 grams. The obverse of the 1995-D XXVI Olympiad Paralympics Uncirculated Commemorative Silver Dollar was designed by Jim Sharpe and features a blind tethered runner and the Paralympic mark. The reverse side of the 1995-D XXVI Olympiad Paralympics Uncirculated Commemorative Silver Dollar was designed by William Krawczewicz and features an image of clasped hands symbolizing brotherhood and team. This 1995-D XXVI Olympic Games Paralympics Silver Uncirculated Commemorative Dollar is encapsulated and comes in the original U.S. Mint packaging with a Certificate of Authenticity (COA). 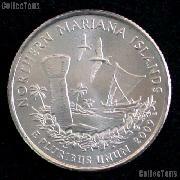 This coin is a great value for the price! Don't miss out on this 1995-D XXVI Olympiad Paralympics Commemorative Uncirculated Silver Dollar!